Creating environmentally-friendly homes that emphasize modern design features—that can pose a challenge for homeowners on the hunt. Recent reports from Realtor.com indicate the home value of modern designs increasing by 37.4 percent since 2012. 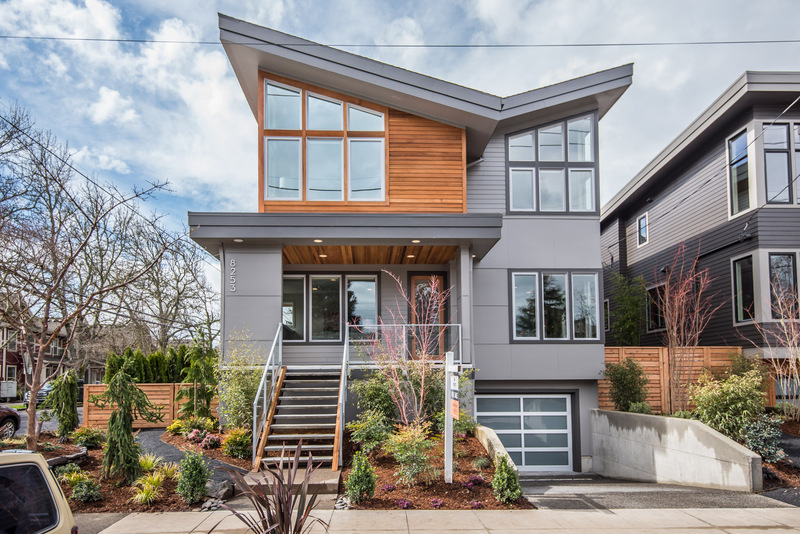 To deliver timeless craftsmanship and the evolving design preferences of today, Portland-based Everett Custom Homes recently launched its Modern Collection. The homes were completed in April 2017 and were officially on the market with prices ranging from $300,000 for six-plex options to $850,000 for single family detached home designs. The Modern Collection initially included options for two single family detached, two duplex, and one six-plex home design. As a part of the collection’s initial launch, there are currently a total of four single-family modern homes built, three of which have already sold. In addition to this collection’s contemporary design, the homes are especially unique in their environmentally-friendly construction features. Each modern home is certified at a Gold or Platinum level through a third-party energy certification nonprofit organization, Earth Advantage. From the homes’ locally sourced building materials and high-performance Energy Star appliances to their electric car charging stations, the Modern Home Collection prepares buyers to lead eco-friendly lives throughout their years of home ownership. Delivering homes with exceptionally design detail came with its challenges. According to Remmers, the city of Portland has an extremely challenging design code, making it difficult to provide a great exterior elevation. “We worked tirelessly on the new designs and went through many revisions along the way to finally get the perfect home. In addition, we incorporated new design details and features that required additional input and attention from our vendor partners to ensure superior execution,” explained Remmers. These designs incorporated flat roof conditions, elevated concrete decks, waterfall quartz on the kitchen islands, metal, cable, and glass railings, as well as a number of other features.